Dr Clare McAndrew, the writer and presenter of the soon-to-be-launched ‘Art Market Economics’ online course. McAndrew, the author of The Art Market, An Art Basel & UBS Report, an annual macro-economic report on the global art market, has teamed up with Christie’s Education whose in-house team started producing online courses last year. The programme for this latest course promises to “introduce students to the essential features of today’s art market through in-depth data visualisations”. It will also feature 12 interviews with leading industry figures. These include chairman of The British Art Market Federation Anthony Browne; CEO of The Fine Art Group Phillip Hoffman; deputy CEO of Christie’s Stephen Brooks; art advisor and founder of the Baer Faxt Josh Baer and director of New York dealership Acquavella Galleries Michael Findlay. The ‘Art Market Economics’ online course, hosted by Christie’s Education, aims to help students understanding the market, finance and regulation as well as the wider economic impact of the art industry. Costing what many people may regard as a hefty US$1500 for a video-based course (although Christie’s Education say that tutors will work closely with students, giving guidance and feedback as they progress), the programme is structured toward students thinking of entering the art industry as a career as well as those looking for professional development. It is also being pitched at people looking to enter the art market as buyers or consignors as well as private individuals who are simply interested in the art market. The course covers the different types of investment in art and aims to teach students how to calculate the risks and returns associated with them using statistical methods. 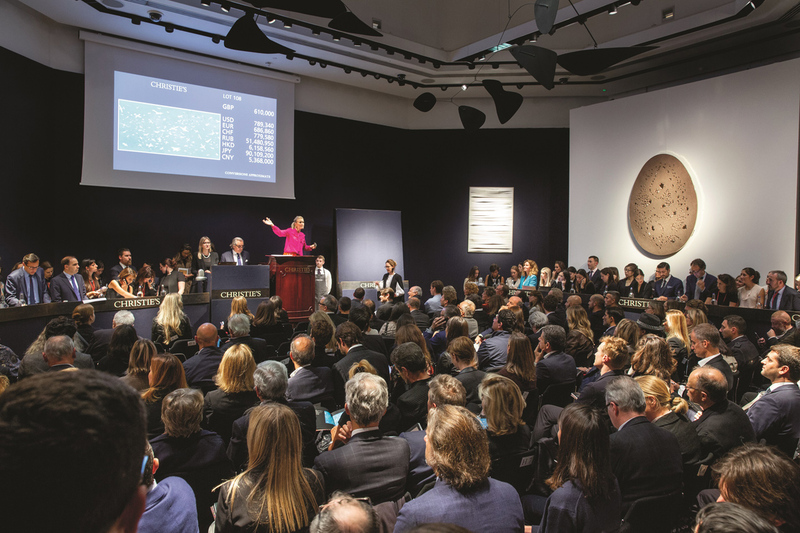 Other topics include the development and structure of the art markets in key regions; economic theory for understanding the market; art finance and regulation; the wider economic impact of the art market; and the effects of digital developments. Enrolment is made through Christie’s Education website with students then receiving an invitation from its online platform Canvas. New sessions open up each week with students able to watch the video-based lectures on their computer or mobile device – allowing them to take part in the course whenever and wherever they want. Christie’s Education launched its first online courses around a year ago, and three courses are currently available, Inside the Global Contemporary Art World; History of Jewellery Design: 1880-Now; and The Great Masters of European Art 1350-1850. It plans to launch more courses throughout 2019 on subjects relating to art history and business.